If you are looking for a food with more meat, no grains and lower carbohydrates – CORE is truly a more thoughtful alternative. This diet delivers the meat content you’re looking for, while creating a balanced profile of real-foods appropriate for everyday feeding. 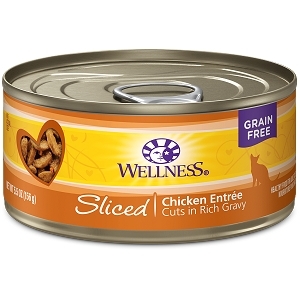 Wellness has redefined the world of grain-free cat food! We have developed a 50% protein diet with the most meat possible in a dry cat food while still controlling fat and mineral levels! The essence of the raw feeding philosophy is nutrient-rich, high-quality meat – and lots of it. That’s the same philosophy behind Wellness CORE. But that’s not all. 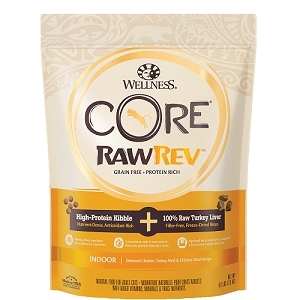 This unique, grain-free formula also supports and nurtures your cat’s inside… their essence… their Core. Since feline health requires a delicately balanced nutritional equation, we must consider that adding the most meat possible in a dry cat food will have an effect on fat, mineral and calorie levels. So to create a protein-focused diet the Wellness Way, we carefully control the quality and quantity of the ingredients we use, and pay close attention to the individual properties of each inclusion. From source to bowl, we make no exceptions!. This is about the animal’s health and wellbeing over the long term, from the INSIDE OUT. Wellness understands the delicate balance of nutrition that is essential to feline health and this will not be compromised. CORE is the THE HEALTHIEST grain-free diet on the market today. 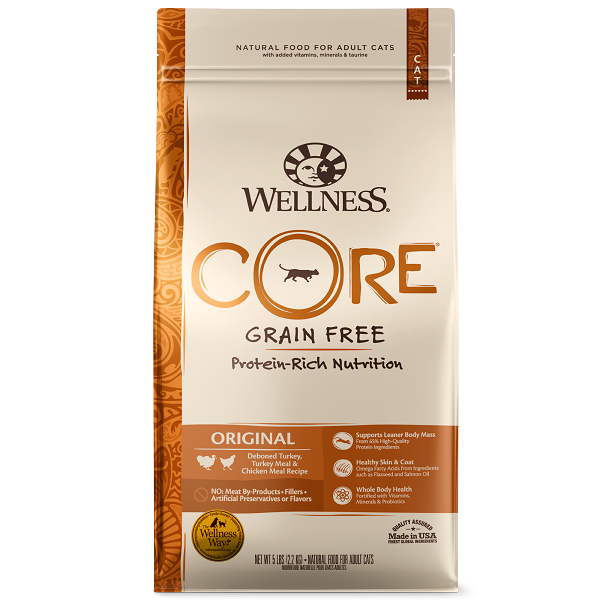 - CORE features the highest inclusions of meat possible in a dry cat food, with over 80% high-quality, animal protein ingredients. - CORE’s unique formula includes guaranteed maximums of calcium, phosphorous and magnesium with natural minerals from kelp. 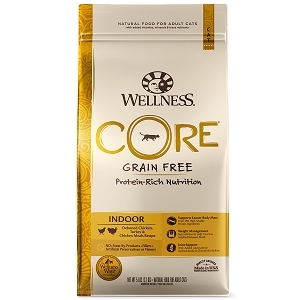 - Free of grains, CORE also keeps carbs to a minimum. Potatoes provide fiber and help hold the food together. - Tomato Pomace and Cranberries provide valuable phytonutrients, with additional natural benefits of botanical extracts. - After cooking, each kibble is coated with a source of live naturally-occurring micro-organisms normally found in the healthy digestive tract. Deboned Turkey, Deboned Chicken, Chicken Meal, Whitefish Meal, Potatoes, Salmon Meal, Natural Chicken Flavor. Chicken Fat (preserved with Mixed Tocopherols, a natural source of Vitamin E), Tomato Pomace, Cranberries, Chicory Root Extract, Salmon Oil, Flaxseed, Vitamins (Vitamin E Supplement, Niacin, Ascorbic Acid (Vitamin C), Thiamine Mononitrate, Calcium Pantothenate, Riboflavin, Pyridoxine Hydrochloride, Beta-Carotene, Vitamin A Supplement, Vitamin D-3 Supplement, Folic Acid, Biotin, Vitamin B-12 Supplement), Choline Chloride, Minerals (Zinc Proteinate, Zinc Sulfate, Iron Proteinate, Ferrous Sulfate, Copper Sulfate, Copper Proteinate, Manganese Proteinate, Manganese Sulfate, Calcium Iodate, Sodium Selenite), Yucca Schidigera Extract, Dried Kelp, Taurine, Lactobacillus Plantarum, Enterococcus Faecium, Lactobacillus Casei, Lactobacillus Acidophilus, Rosemary Extract.